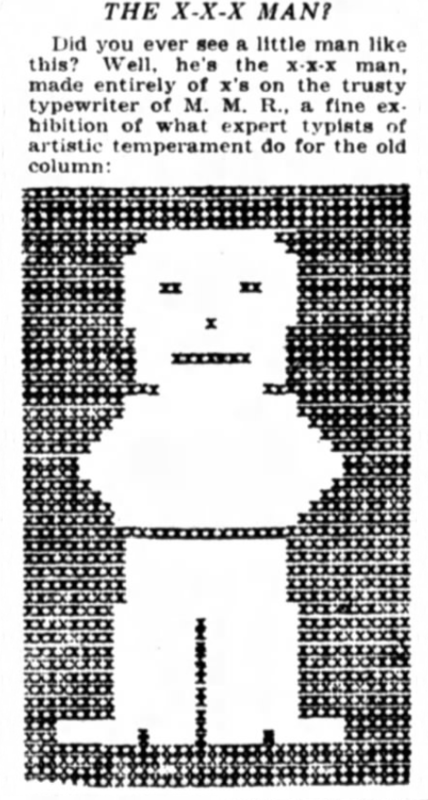 1920, 1922, ascii art, print, typewriter, typewriter art, usa. 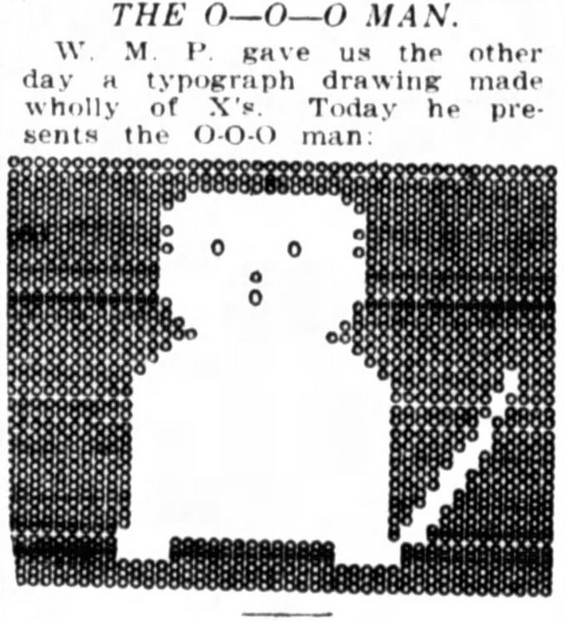 Washington Post, May 1922. Via Yesterday’s Print. 1920, 1920s, cross-stitch, embroidery, france, print, textile. D.M.C. Broderies Bulgares. Mulhouse, Dollfus-Mieg & Cie, [c.1920, 30 pgs]. 1920, 1920s, cross-stich, embroidery, france, paris, print, textile. D.M.C. Point de Marque  5me Serié, Mulhouse, Dollfus Mieg & Cie (first pub c.1920), via.